Even before Sony launched the Xperia Z1 in the Indian market, there were strong rumors that Sony is already working on a smaller ‘mini’ version of the Xperia Z1. The rumors circulating in the industry stated that the smaller version would sport lower specs. Not too long ago, it was unofficially called as Xperia Z1 Mini.What followed these rumors was a moderately detailed specs leak. 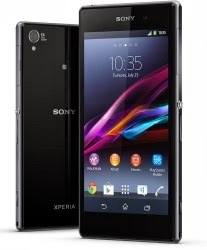 The leaked specs showed that the specs of the Xperia Z1 Mini would not be as advanced as that of the Xperia Z1. However, the leaked specs also hinted that the Z1 Mini would not fail to make a mark. A document that seems to have been apparently provided by the Japanese cellular NTTDoCoMo provides a deeper glance into the much anticipated phone. In this document, the rumored phone is labeled as Xperia Z1 F. However, it is likely that this will only be a Japanese name for the handset, featuring the model number SO- 02F. The document, supposedly originating for the Japanese carrier, is seen as a snapshot of a catalog of the NTTDoCoMo. In the document, a few pictures of the rumored phone are also attached. The pictures seen in the document show the device in a range of shades like red, white and black and also one color that appears like the hue of John Milner’s racing machine from American Graffiti. There is much evidence to believe that Sony will not be watering down the specs of the mini Xperia Z1 and follow its competitors. By the looks of it, the Xperia Z1 Mini is engineered to follow in the popular drift where various handset manufacturers are launching a three-pronged device attack in the market. This comprises of a flagship smartphone, whose launch is closely followed by a cheaper and smaller version and a bigger ‘phablet’ device that is based on the same design language. As the name implies, the Xperia Z1 F or the Xperia Z1 Mini is designed by Sony as a cost-efficient alternative to the Japanese handset manufacturer’s flagship phone, Xperia Z1. Much like its elder sibling, the Xperia Z1 Mini is also expected to be a Top-end Android Smartphone and will be boasting of some unique and exciting features. Outwardly, the Xperia Z1 Mini will slip in the 144mm x 74mm body dimensions of the Xperia Z1 and will expectedly downsize to a 127mm x 64.9mm body. However, it is also expected to be a little thicker as its size reduces. Compared to the Z1 which is 8.5 mm thick, the Xperia Z1 Mini will be 9.4mm thick. The Xperia Z1 Mini’s screen will also be shaved down. The stunning, 1920 x 1080 Full HD, 5-inch screen of the Xperia Z1 will make way for a smaller 4.3-inch screen with a 1280x720 resolution panel. The internal specs are expected to remain much or less the same. Sony will be powering the Z1 Mini by a quad-core Snapdragon 800 processor chipset that runs at 2.2 GHz and supported by 2GB RAM cache. The rumored phone will boast of an internal storage capacity of 16 GB. It is also highly likely that the Xperia Z1 Mini’s rear will sport the same 20.7- megapixel snapper from Sony which also graces the flagship phone. The Z1 Mini will sport a 2.2. megapixel camera sensor. Much like other members of the Xperia Z family from Sony, the Xperia Z1 Mini will be seen with IP58 water and dust resistance, making it an all-weather-use smartphone. If the leaked images are anything to go by, then it is pretty evident that Sony will continue with the stunning style of the flagship Xperia Z1 by introducing only a handful of tweaks to the smaller edition of its flagship phone. In the images, a few buttons and even the headphone port are seen in a different location to better complement the condensed layout of the rumored phone. The camera flash is also shifted to one side of the camera. Sony also has teased buyers and enthusiasts with two new colors for the Z1 Mini. Apart from black and white, the Z1 f is likely to be seen in red and yellow. 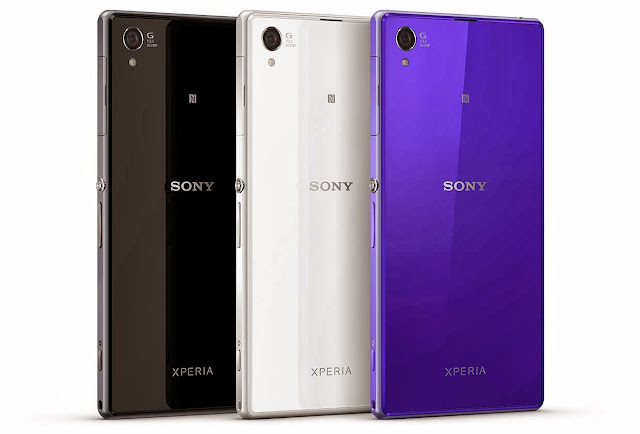 However, there is no talk about a purple colored model in line with the Xperia Z1. At the IFA launch held earlier this year, Sony had aggressively promoted the photographic abilities of the Xperia Z1. If the leaked specs for the Z1 Mini are true, then it is likely that Sony will be promoting it in a similar manner. It does not come as a surprise that Sony too, has jumped the bandwagon for the ‘mini’ craze that has groped the smartphone industry across the world. However, what seems hard to digest is the way how the Japanese handset maker is molding the specifications of the Xperia Z1 Mini. Sony will not just retain the model name and shrink the arresting Triluminos display for the Z1 Mini. It will also cut down on some specs but port over the powerful 2.2 GHz Snapdragon 800 processor chipset as well as the 20.7 megapixel snapper that is currently available with the Z1. If this is true, then this justifies the Z1 Mini’s augmented thickness. Considering that the Honami Mini retains most of the unique features of its bigger sibling, it may even come out just as a namesake to the flagship phone. With Sony shrinking the screen size to 4.3 inches and sporting a 720p resolution, the Z1 Mini would mimic the HTC One Mini. Additionally, the Z1 Mini would also pack in 2300mAh battery, Bluetooth 4.0 connectivity and aforementioned 16 GB internal storage capacity. All these features stuffed in a smaller chassis, means the Z1 Mini will be thicker.As far as the release of the Xperia Z1 Mini goes, previously released reports have stated that Sony will be launching it in January 2014. The release dates are pure rumors but there is a lot of anticipation growing about this small, yet abundantly powerful phone. Kundan Kumar is a a technical writer, he loves writting articles on technology topics in a creative and technical manner. I'd love to buy this phone if it releases here in the US. I've small hands so I find it difficult to handle 5-inch+ phones, so the Xperia Z1 Mini would be perfect for me.